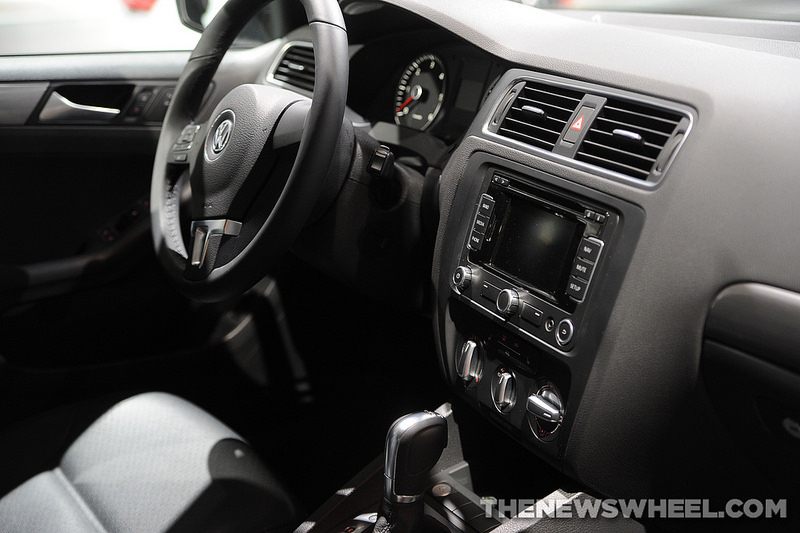 For the 2014 model year, the Jetta TDI sees a few new equipment updates, including a standard independent rear suspension, an available rearview camera, and VW Car-Net telematics. Europe comes to America in the 2014 Jetta TDI, which features a heavy amount of European styling with a dash of American appeal. A rounded front end follows sculpted bodylines to a uniquely styled rear end, all coming together to create a streamlined silhouette that allows the diesel powertrain its optimal performance. A turbocharged 2.0-liter diesel four-cylinder engine powers the Jetta TDI, producing 140 horsepower and 236 lb-ft of torque. The Jetta TDI comes with a standard six-speed manual and an optional six-speed dual-clutch automated manual transmission (known as DSG). 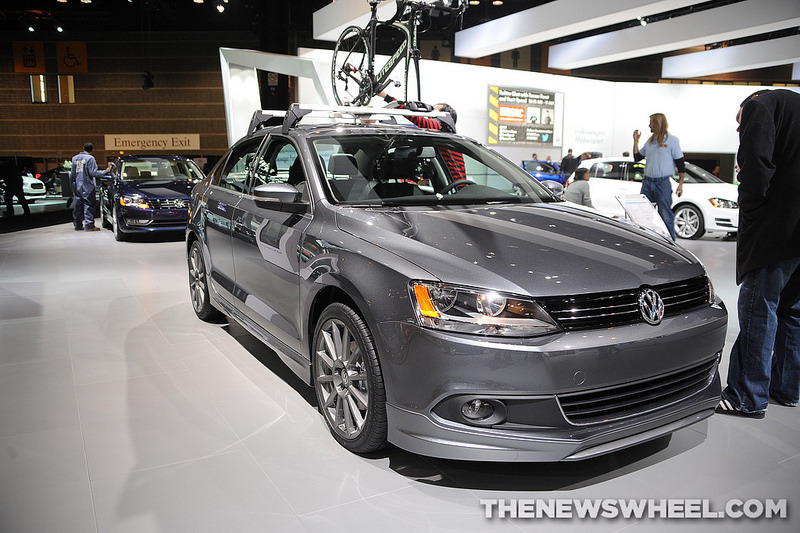 EPA-estimated fuel economy for the Jetta TDI is rated at an outstanding 34 mpg combined. A simple, straightforward design gives the Jetta TDI a tastefully refined interior, while the soft-touch dashboard adds a touch of quality. The large backseat provides ample room for adult passengers, with comfortable seats that make long drives easy, while the touchscreen stereo interface makes sure the driver stays connected no matter what. While the Jetta TDI hasn’t been put to the crash test itself, the non-TDI Jetta earned four stars out of a possible five in government crash tests, while the Insurance Institute for Highway Safety rated the Jetta as a Top Safety Pick. 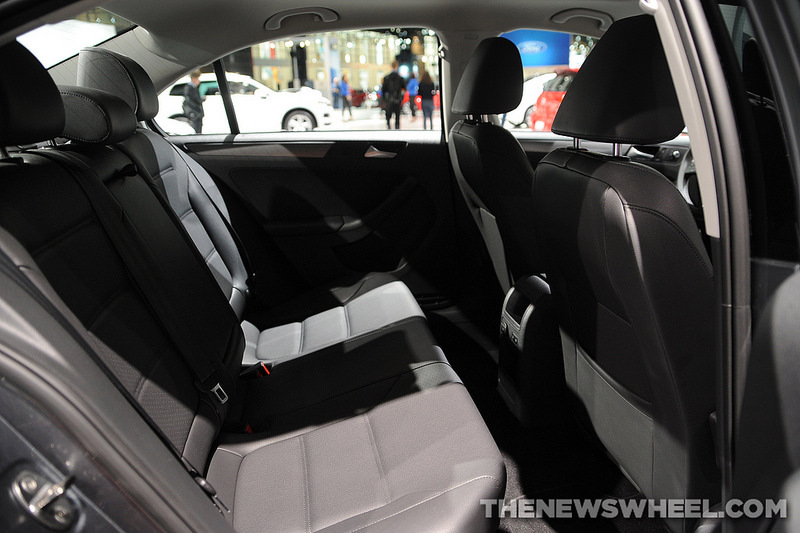 Standard safety features include antilock brakes, stability and traction control, front side airbags, side curtain airbags, and active front head restraints. The TDI also comes standard with a rearview camera. The Car-Net telematics system also helps keep you safe with services such as roadside assistance, automatic crash notification, and much more.